ha! i'm on the roll! 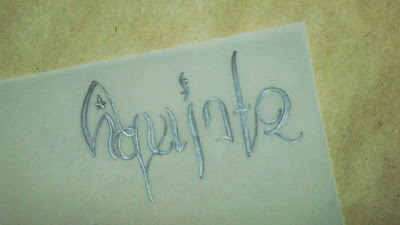 you know what ... i just designed another ambigram! before trek i didn't know who zachary quinto was. i didn't watch heroes, so i didn't know sylar. but now i know... zachary quinto's range as an actor both impress and inspire me. i was utterly spellbound by trek and by him. from the numerous interviews i've watched over youtube, mr quinto comes across as refine, articulate, well informed and intelligent. deeply contemplative and slightly old world, he exudes a unique charm. i shall be following his career closely from now. i always begin by writing the name one on top of another in opposite directions so that i can see which letters to pair up. and i usually try different combinations of the name. 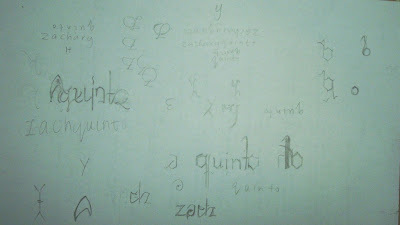 i'm not an expert in this, i've only done like 4 ambigrams, so i don't know if this is how the experts do it. but it works alright for me. tracing paper is very important. once you have designed one half of the name, you need to see if they work when you put 2 halves together. 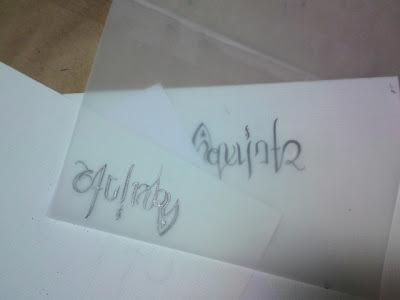 a piece of tracing paper allows you to maneuver around (since it's transparent) and experiment with different ways of fitting the 2 halves together. 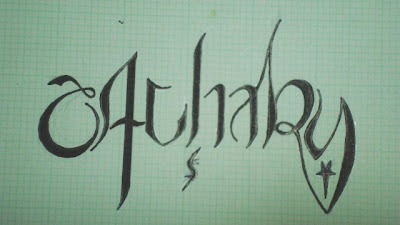 the next step is to scan it into the computer and duplicate another 'zachary', rotate it 180 degrees, and assemble ( i use the software GIMP) ... wallah! each of them are slightly different. and to all the zachary quinto fans out there, feel free to download them if you wish ... today's art post serves only one purpose ... to pay homage to an excellent actor who is zachary quinto :) enjoy! lol!!! you are right about the slurpily delicious part ... tho i'm not too sure about the DOL ;P ... cheeky little lady sounds better! 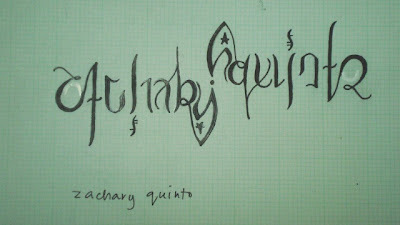 Wow Luthien, this is just amazing! You're SO talented with these and I have to appreciate your inspiration. We've watched Heroes so we have an understanding of the caliber of actor he is, truly inspirational. hey sharon :))) thank you! ambigrams are so much fun (and frustration when you can't get it right) i'm like this noty little girl rubbing her hands in glee when i do ambigrams :))) thank goodness for DVDs ... now i know who sylar is :)) really cool character and multilayered ... zach's fantastic as sylar, but he's brilliant as spock!